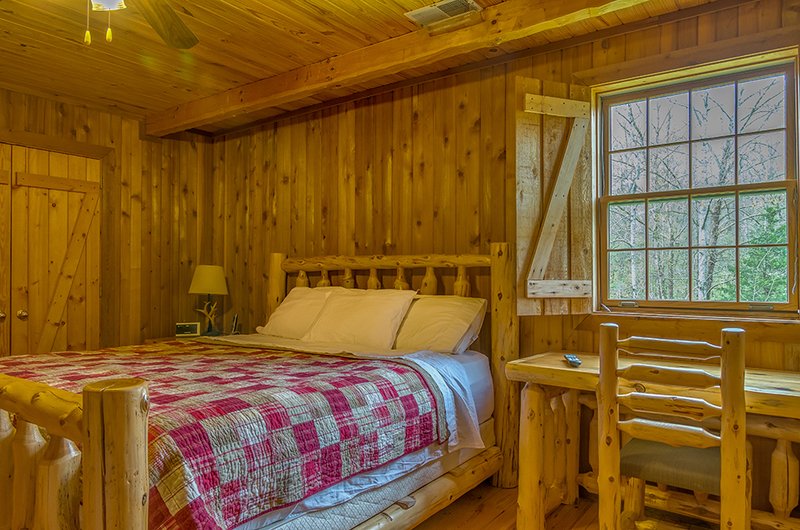 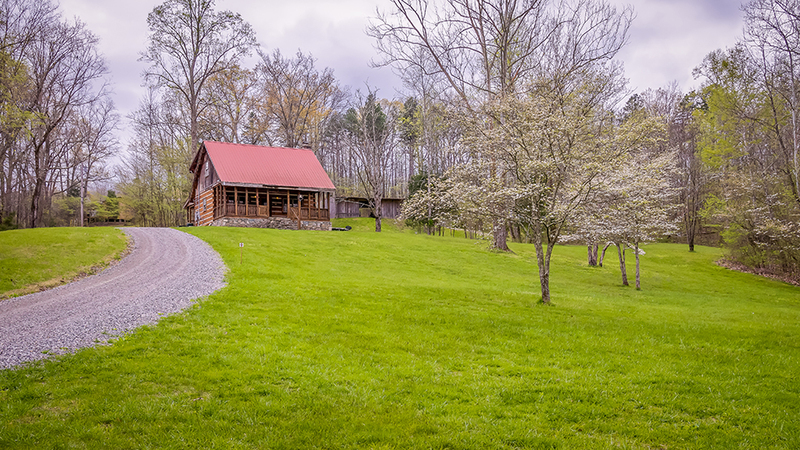 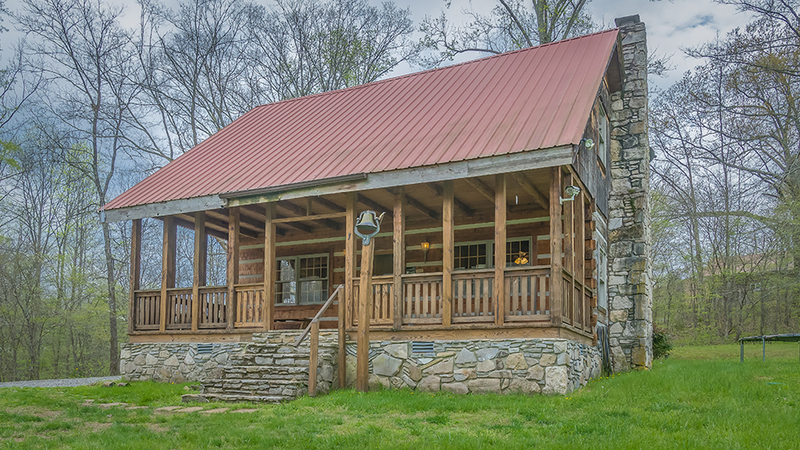 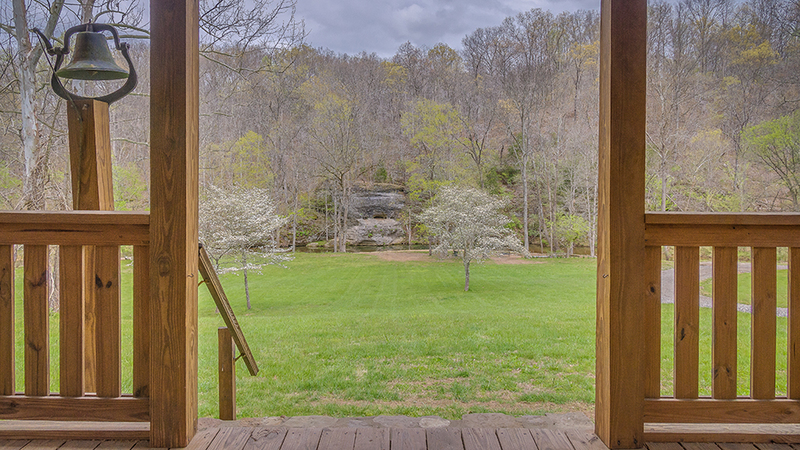 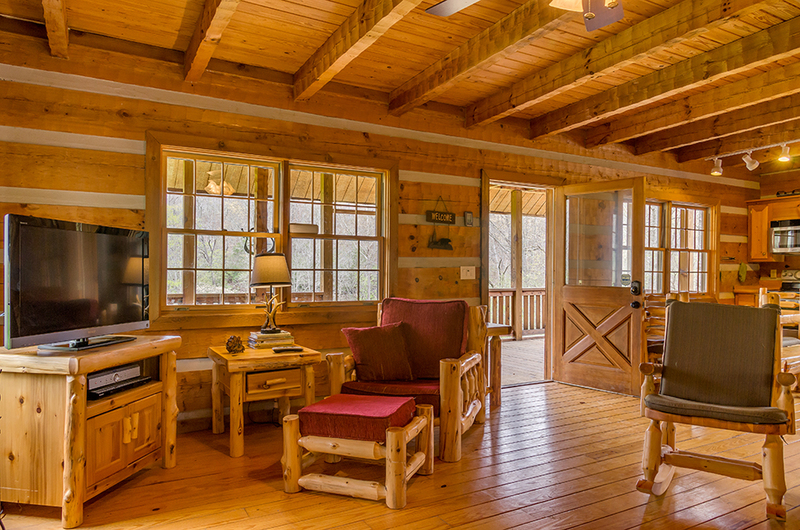 Cabin 1 is a secluded rustic log cabin, overlooking Big Spring Creek and its scenic bluffs. 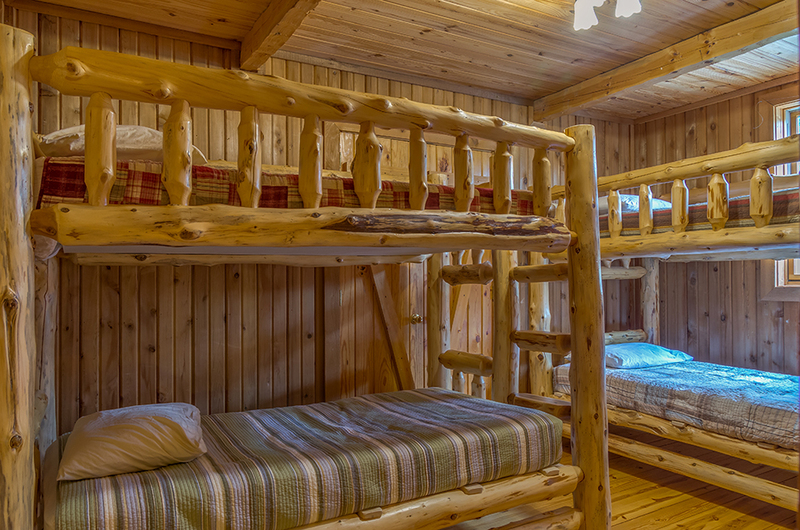 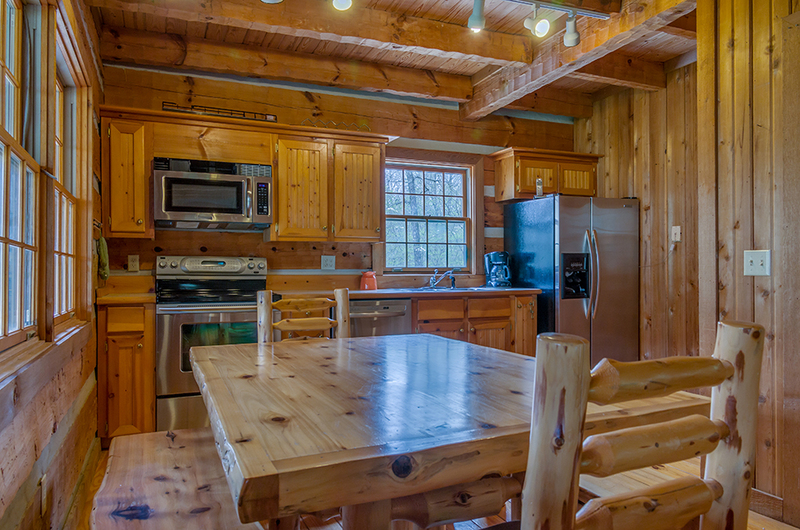 Cabin 1 is perfect for large families, or for more seclusion - away from the traffic of the other cabins and the lodge. 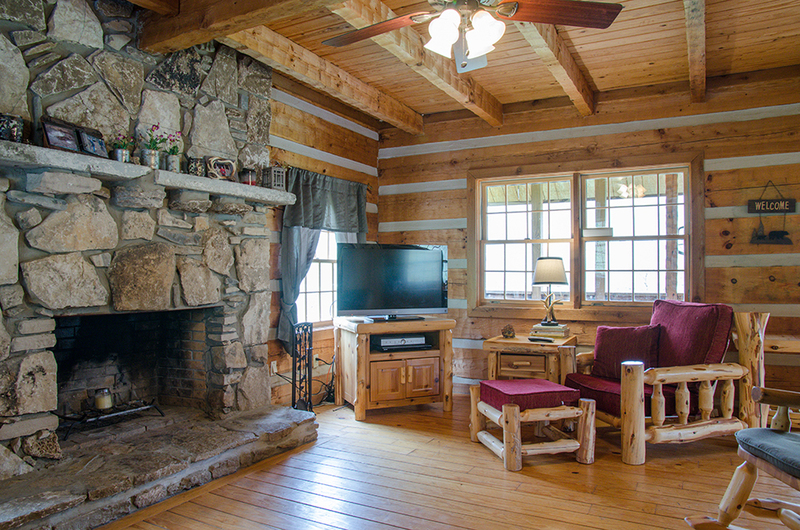 This cabin is frequently used by wedding guests since it overlooks the lawn where many ceremonies take place.